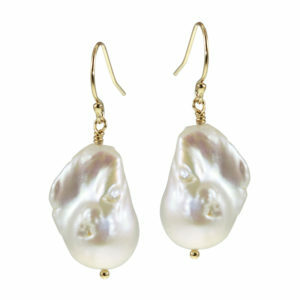 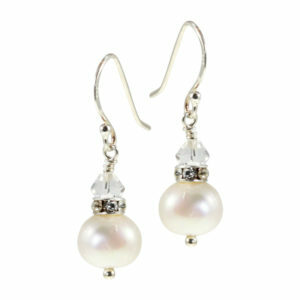 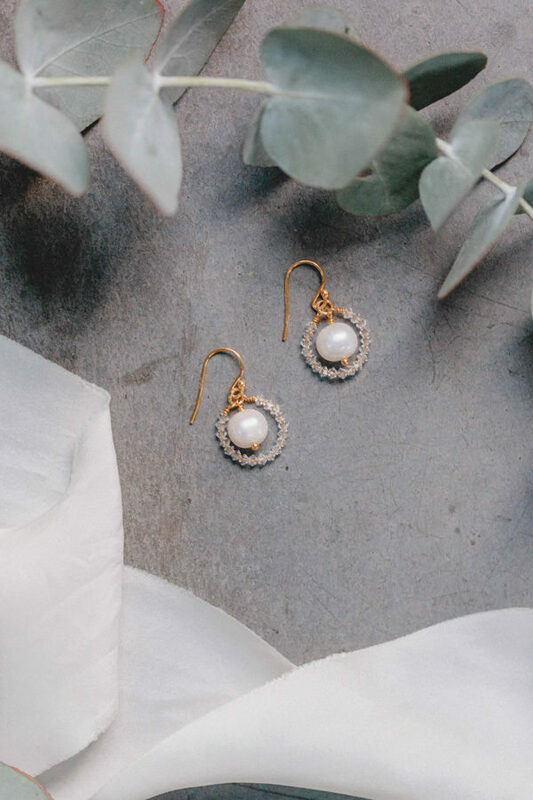 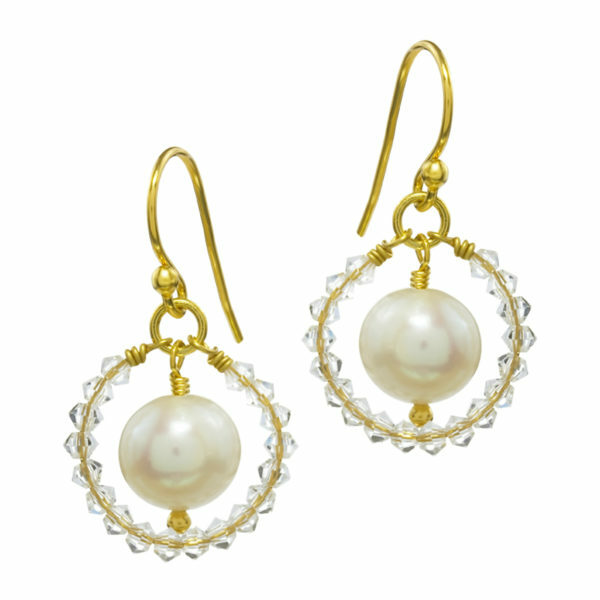 A circle of sparkling Swarovski crystals encloses a shimmering round freshwater pearl as a noble centerpiece – through their love of detail, these earrings are a very special eye-catcher, without being too large and opulent. 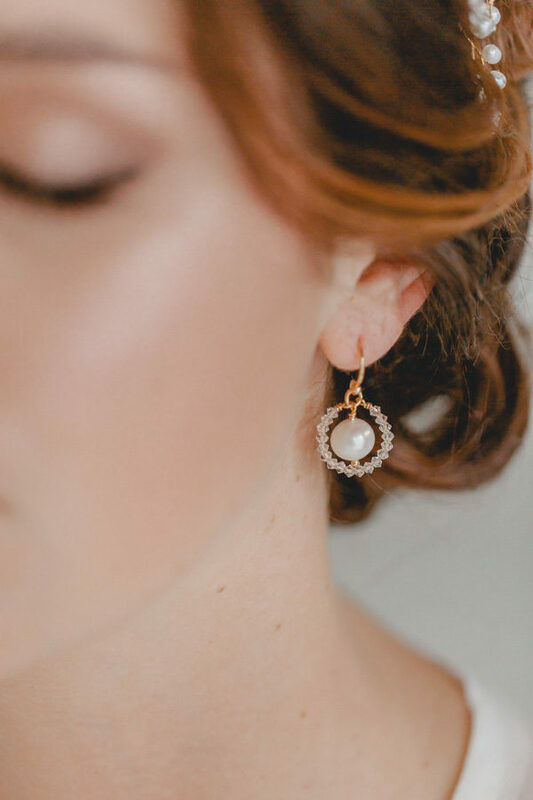 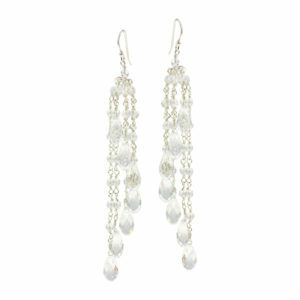 The perfect choice for brides who prefer to wear smaller earrings with their dress, but still want to make a statement with a unique design. 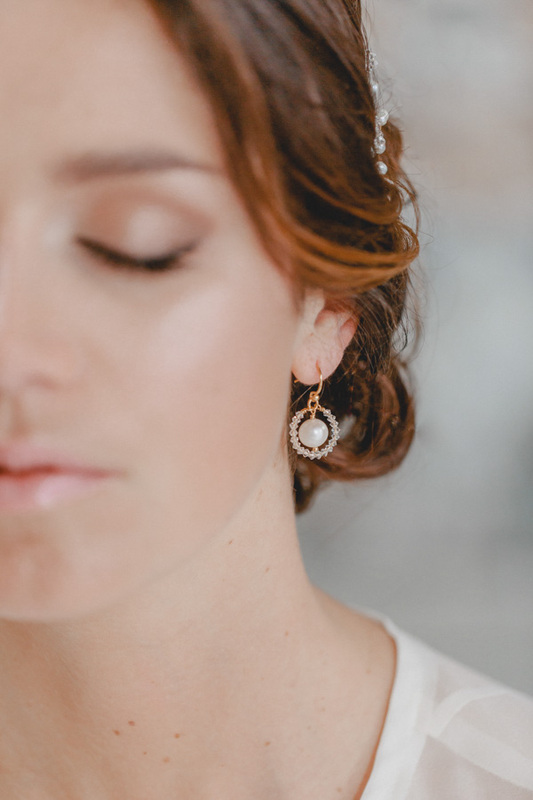 The elegant use of circular shapes and high-quality materials ensure that with this jewellery everyone will look twice and the earrings will leave a lasting impression.